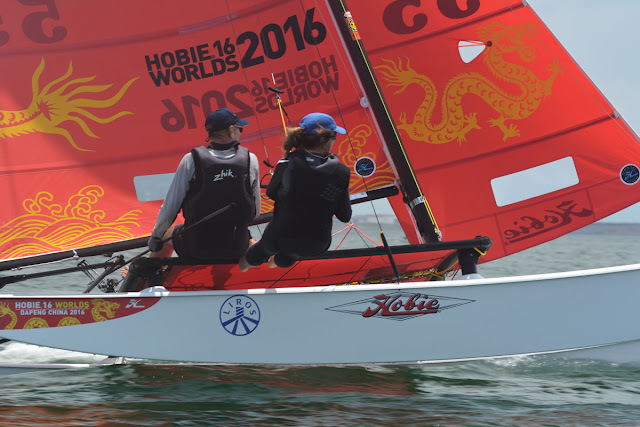 Master Worlds: "After a series of 15 races over 4 steamy days Rod and Kerry Waterhouse from Australia have won the Masters division of the 21st Hobie® 16 World Championships in Dapeng, China. Despite the fact that the Australians led the series from the very first race and were never headed in the regatta it was always an amazingly close contest. 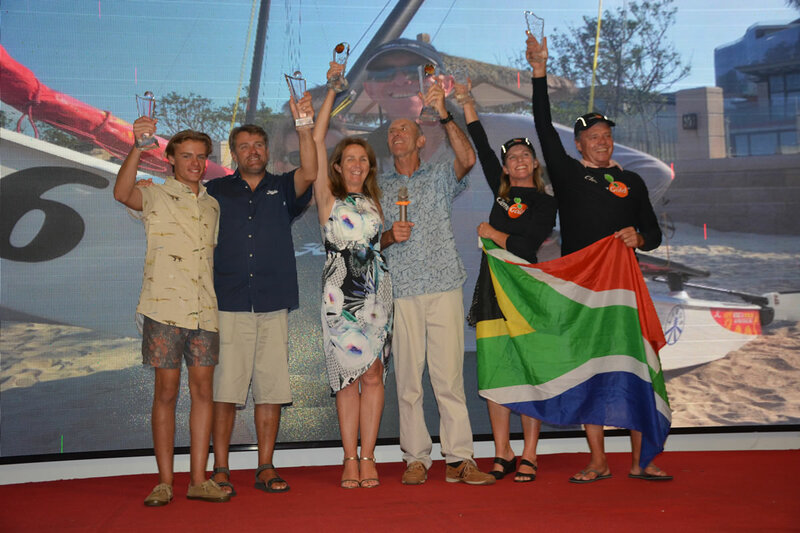 Positions fluctuated at the top from race to race and everyone in the top 5 had a chance to win going into the fourth and final day of this incredible series. We went in against a lot of tough competition and started off well. It’s an unusual location with very flat water and wind off the shore. 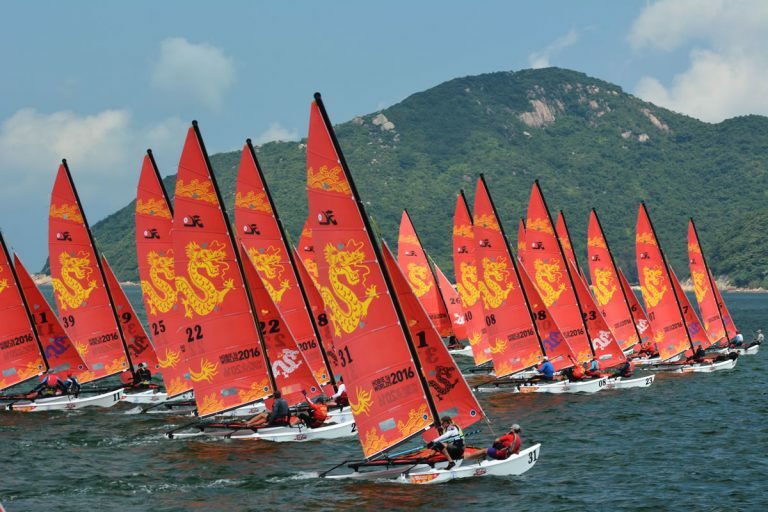 There’s nothing certain and in fact it took quite a while for the fleet to work out whether it paid best to go left on the course or right on the first beat".